New in box set of 4 Wagner Thermoquiet brake pads. Free if you can pick them up, or $20 shipped. These are $52 plus tax from O'Reilly's, part #MX652. 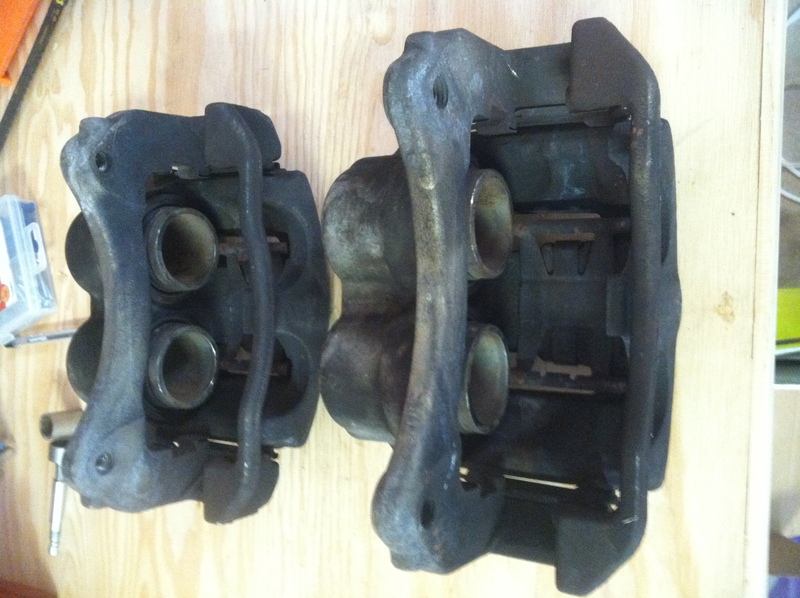 Used set of original calipers with brackets. These are coming off of my truck right now and still work fine with 100,000mi on them, or you could just use them as cores. Free to pick up, probably not worth shipping. These parts are for my 02. I believe they fit 95-03 trucks. Last edited by Ranger Smith; 05-16-2013 at 12:00 AM. PM replied. A good question. 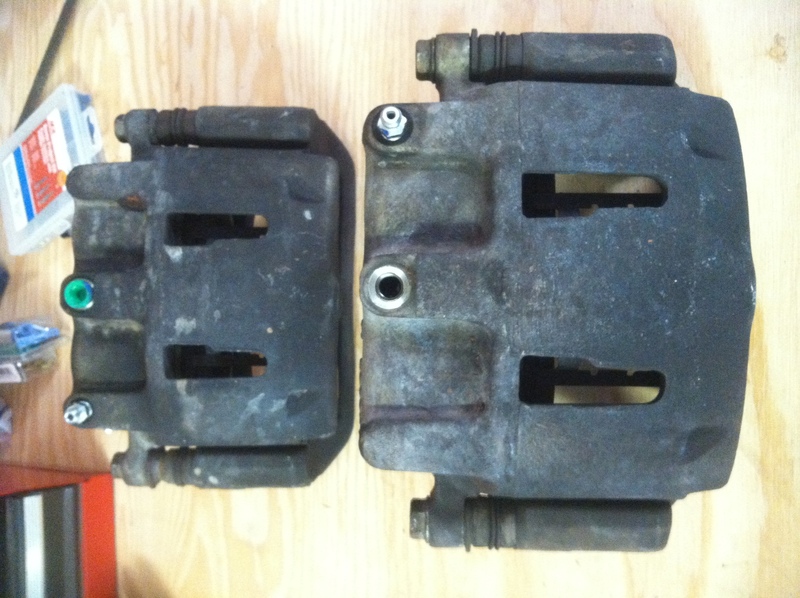 These pads are $52 plus tax from O'Reilly's, part #MX652. Can you post pics of the calipers? Sounds good. Sent another PM. Damn read under your name Denver and then saw the title said Phoenix. Faked me out. Oh yeah, guess its time to change that. Sale pending on the brake pads. They look just like yours. Are you just curious or would you actually want them shipped to you? I would do the shipping, I just wanted to make sure they were the dual piston type and if they were in better condition than my own so I could swap them out. Ok I will take pics when I pull them off in a week or two, they are dual piston. Shipping is going to be at least $20. Pads are sold, Clinton has dibs on the calipers. Pulled the calipers today and they were in surprisingly good shape. Almost no rust, sliders still slide, rubber is in good shape, and no signs of leaks. I had an extra set of new bleed screws so I threw them on. Powerstop drilled and slotted rotors// buy rotors get free pads.